Complication rates for Mohs micrographic surgery (MMS) are low, at roughly one to two percent, and most commonly involve infection and bleeding.1 Risks for developing a post-operative bacterial infection include healing by secondary intention and nonlinear repairs.2 Reactivation of varicella zoster virus (herpes zoster) can occur following physiologic or emotional stress, including that associated with surgery. 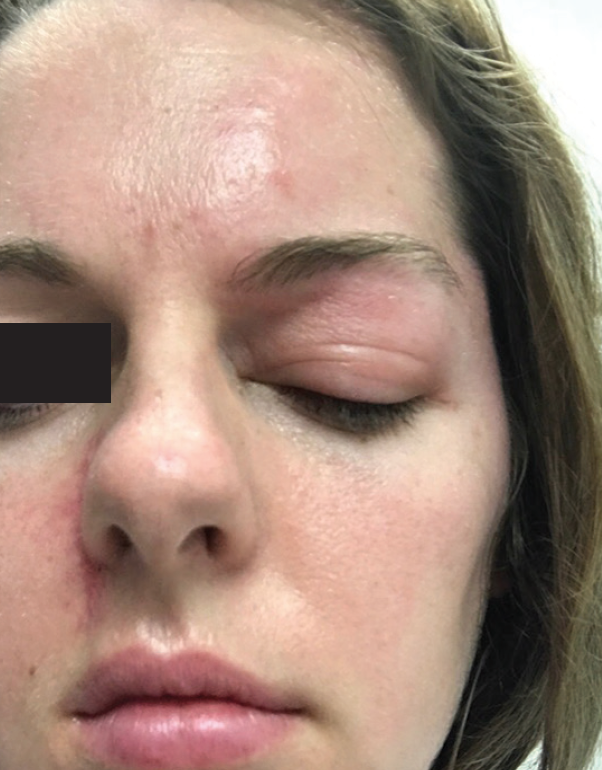 We present the case of an otherwise healthy patient who developed suspected facial cellulitis following MMS, which ultimately proved to be herpes zoster (HZ). Figure 1: The patient's initial presentation with periorbital edema and erythema. An otherwise healthy 27-year-old Caucasian female underwent MMS for a 0.3x0.3cm nodular basal cell carcinoma on the right superior nasolabial fold. This required two stages to clear, and the 1.7x1.1cm defect was closed with a crescentic advancement flap. At suture removal on post-operative day 7, mild wound dehiscence was noted. Two days later, yellow purulent discharge and crusting was noted near the incision site, and she reported using well water to cleanse the wound. She was given a seven-day course of doxycycline followed by a seven-day course of ciprofloxacin and topical mupirocin, as well as instructed on daily vinegar soaks. One month after surgery, the patient was seen in clinic with no signs of infection. Two months postoperatively, the patient experienced left-sided headaches for approximately one week followed by left eye and cheek edema (Figure 1). She had left cervical lymphadenopathy without fevers or malaise. 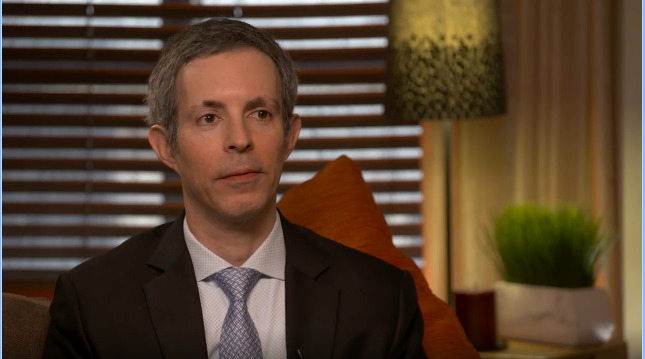 A question was raised about possible post-surgical infection travelling to the contralateral side through the cavernous sinus. Ophthalmology consultation resulted in a preliminary diagnosis of preseptal cellulitis. She was admitted for antibiotic therapy with cefepime. Three days into her hospital course she developed a vesicular eruption with associated burning and tingling around the left eye and sparing of nasal tip. Polymerase Chain Reaction (PCR) for HZ was positive. She was started on intravenous acyclovir until all lesions were crusted and discharged with a five-day course of oral valacyclovir. The differential diagnosis of a red, swollen eye ranges from inflammatory to infectious etiologies. It includes preseptal and orbital cellulitis, HZ opthalmicus, contact dermatitis, blepharitis, dacryoadenitis and cavernous sinus thrombosis.3 In our patient, a post-operative infection was considered because of the relatively close time course to MMS, known exposure to a contaminated source, and clinical symptoms of eyelid edema, pain, and erythema. HZ reactivation is often seen in elderly patients with declining cell-mediated immunity or immunocompromised individuals. To our knowledge, there is one prior case of HZ in temporal association with MMS, but this patient was an older individual with a history of leukemia whose vesicular eruption occurred 24 hours after surgery.4 Our patient was otherwise healthy, and her initial presentation was limited to an erythematous and edematous plaque without a vesicular eruption. Our case is somewhat unusual, as HZ occurred in a young, immunocompetent patient, nearly two months after her MMS procedure. It additionally provides an alternative diagnosis for clinicians to consider in a case of suspected orbital cellulitis. In summary, we present an interesting case in which a presumed post-operative periorbital cellulitis was, in actuality, a diagnosis of HZ. Clinicians should be aware of this entity. The American Medical Association (AMA) adopted a policy aimed at identifying patterns that could predict and ultimately prevent suicide among physicians-in-training. The new policy calls on the Liaison Committee on Medical Education and the Accreditation Council for Graduate Medical Education—the accrediting bodies for medical schools and residency training programs respectively—to collect data on medical student, resident, and fellow suicides. The policy builds on the AMA's continued commitment to reducing physician and medical burnout by fighting it on every front, improving wellness, and supporting physicians throughout their career journey. Through the AMA's Professional Satisfaction and Practice Sustainability initiative launched in 2013, AMA says it is partnering with physicians, leaders, and policymakers to reduce the complexity and costs of practicing medicine so physicians can continue to put patients first. Kishan M. Shah, BA is a medical student, Indiana University Department of Dermatology in Indianapolis. 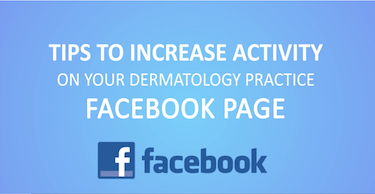 Ally-Khan Somani, MD, PhD is a dermatologist in the Indiana University Department of Dermatology in Indianapolis. 1. Kimyai-Asadi A, Goldberg LH, Peterson SR, Silapint S, Jih MH. The incidence of major complications from Mohs micrographic surgery performed in office-based and hospital-based settings. J Am Acad Dermatol. 2005;53(4):628-634. 2. Merritt BG, Lee NY, Brodland DG, Zitelli JA, Cook J. The safety of Mohs surgery: a prospective multicenter cohort study. J Am Acad Dermatol. 2012;67(6):1302-1309. 3. Carlisle RT, Digiovanni J. Differential Diagnosis of the Swollen Red Eyelid. Am Fam Physician. 2015;92(2):106-112. 4. Domozych R, Wallace EB, Neel VA, Kroshinsky D. Herpes zoster at the site of Mohs Micrographic Surgery in an Immunocompromised Individual. Derm Surg. 2017;43(6):872-873. 5. Liesegang TJ. 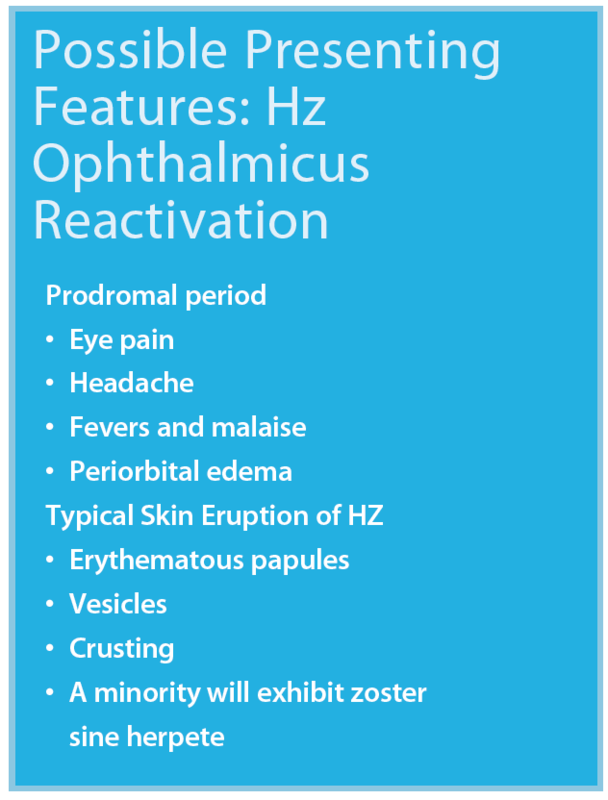 Herpes zoster ophthalmicus natural history, risk factors, clinical presentation, and morbidity. Ophthalmology. 2008;115(2 Suppl):S3-12. 6. Al-Rikabi A, Trotter MI, Khan H, Raut VV. A case of herpes zoster presenting as orbital cellulitis. Journal of ear, nose, and throat. 2007;17(5):287-289. 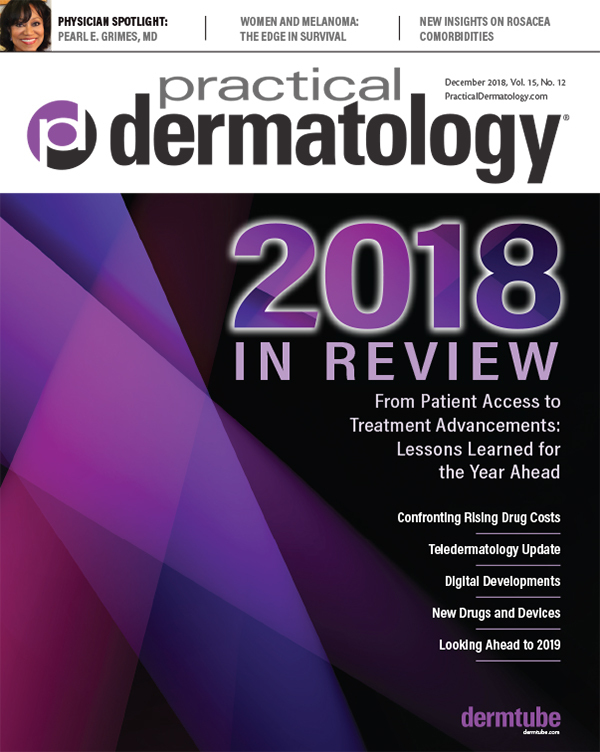 A panel of physician editors will announce the best paper for the year in the January 2019 issue of Practical Dermatology®. The winner will be recognized in the magazine and DermWire.com and receive a reward of a $200 American Express gift card. Access all the reports online at PracticalDermatology.com.